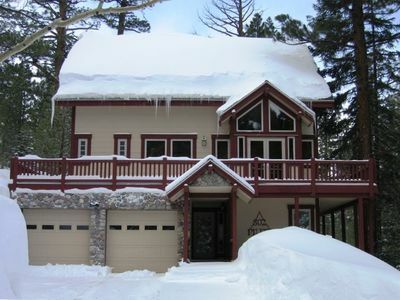 Beautiful 4 bedroom, 4 bath custom home. 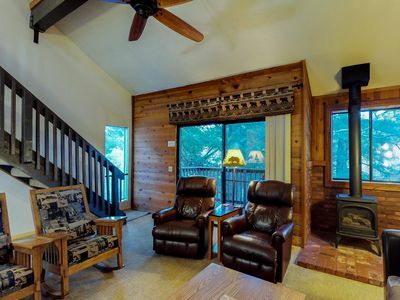 2 Master bedrooms with king-size beds, 2 guest rooms with queen beds, bunk beds & 4 couches. 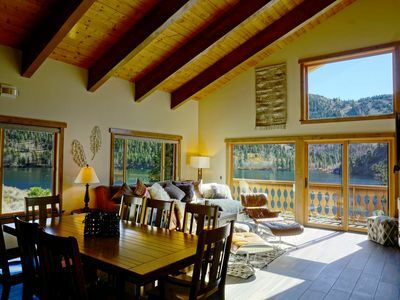 Amazing views from every window including Horse Tail Falls, and magnificent Carson Peak. 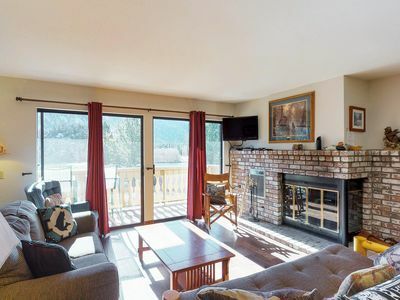 Radiant heat throughout house, heated 2 car garage. Jacuzzi on private balcony. Sauna located in master bathroom. Flat screen TVs,surround sound, DVD, CD, Satellite. 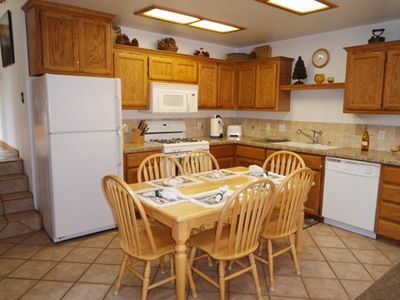 Top of the line amenities including Dacor commercial grade oven and range,miele,G.E. Monogram 48' Refrigerator,micro,Dacor 30' warming drawer, L.G. 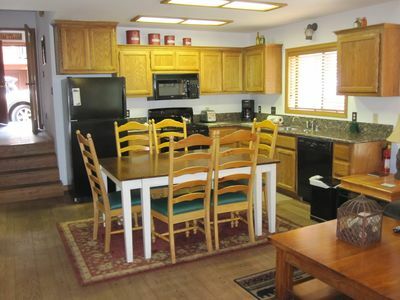 washer and dryer - large laundry room. 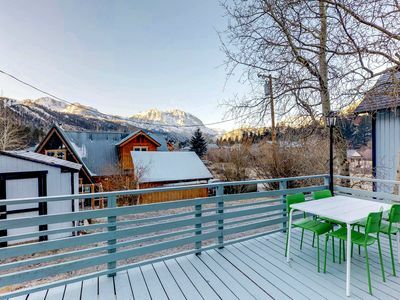 3 private decks equipped with satellite music, barbeque and jacuzzi. 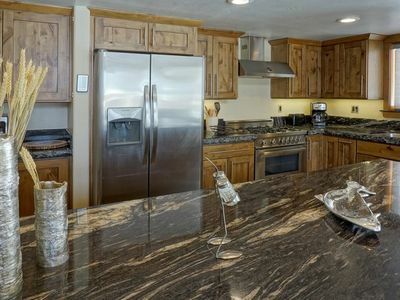 Exquisite materials used throughout such as granite slabs,tumbled marble,slate,Italian tile, cherry and fir cabinets, seely posturepedic pillowtop beds, down comforters and ample storage. 9 PERSON MAXIMUM. 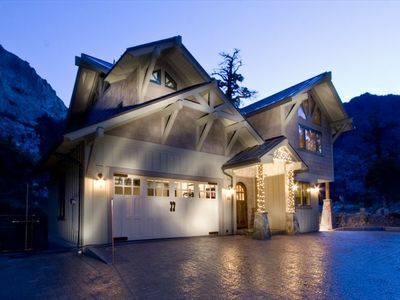 Truly, an amazing home. Call for information. 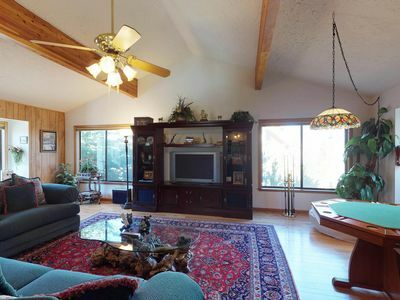 Hardwood floors such as Hickory, Brazilian Cherry, mahogany and tiger wood used throughout. Abundant cable lighting, ceiling fans, custom fixtures and brass/copper cans. Heated steel roof. 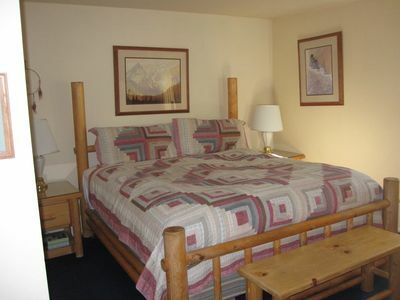 Walking distance to Double Eagle Resort; restaurant, bar, indoor pool, gym and world famous spa. June Mountain 5 min. drive, Mammoth Mountain 25 min. drive/12 miles. During winter snow months, 4 wheel drive necessary. Summer there are endless things to do; hiking, biking, kayaking, fishing,swimming,etc. or just simply relax and barbeque. 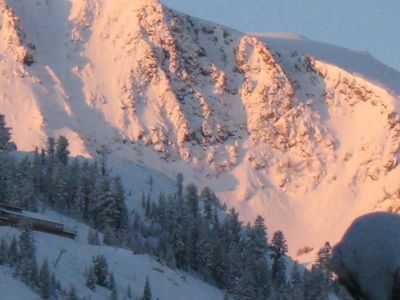 Winter activities including skiing,snowboarding,back country skiing,hiking, snow shoeing,snowmobiling,sledding,etc. Keywords: Magnificent & cozy! Call for availability. 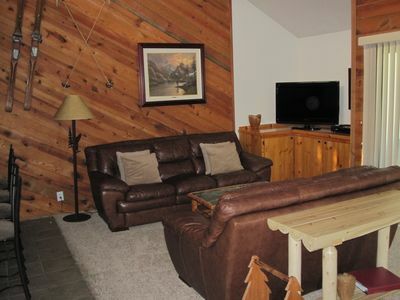 Cozy, quaint townhome within walking distance to 2 lakes - close to skiing! 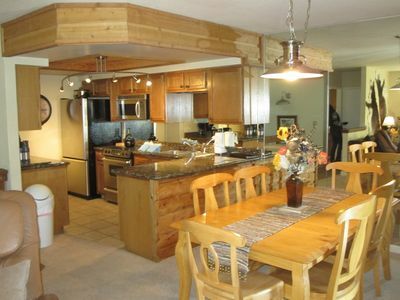 Lovely lakeview condo with a shared hot tub - near attractions! 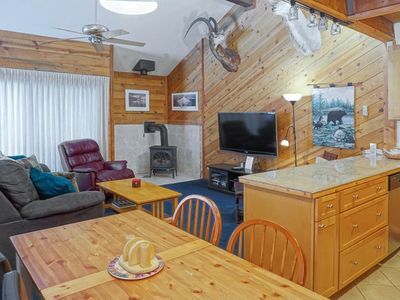 Rustic, cozy "dog-friendly" cabin in downtown June Lake. 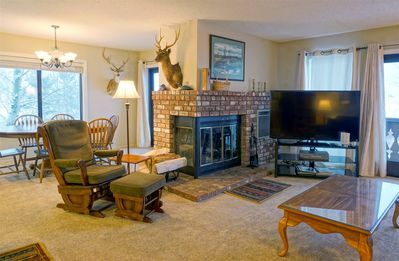 Cozy condo w/ shared hot tub & mountain views - close to town, lakes, & skiing! 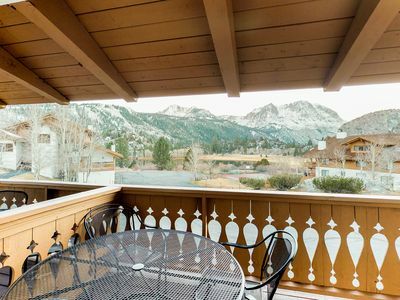 Spacious mountain getaway for that next ski-cation w/ shared hot tub & views! 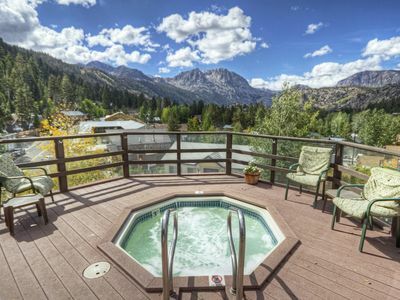 Spacious, beautifully appointed home with private hot tub. Walk to the lakes! 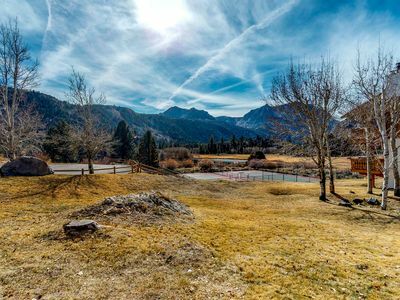 WINTER CONDO close to Mammoth Mountain and June Mountain!! 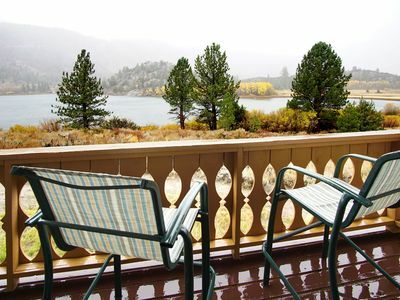 Villa Lago, Gull Lake, June Mtn, and Carson Peak Views! Contemporary, professionally decorated. You might just pinch yourself. Comfortable, cozy and kick back relaxing.